or any other means without permission. The image(s) is registered and shall not be allowed any modifications. 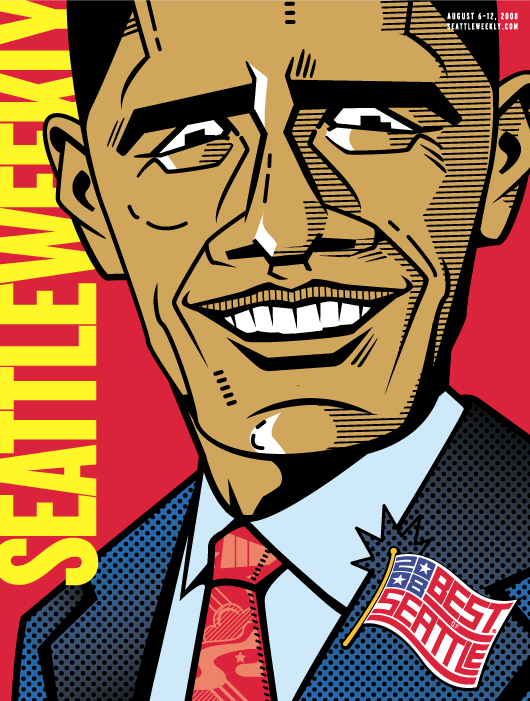 I Illustrated OBAMA caricature and the illustration was used for the cover of Seattle Weekly, best of Seattle 2008 issue and the version was used for interior spread. 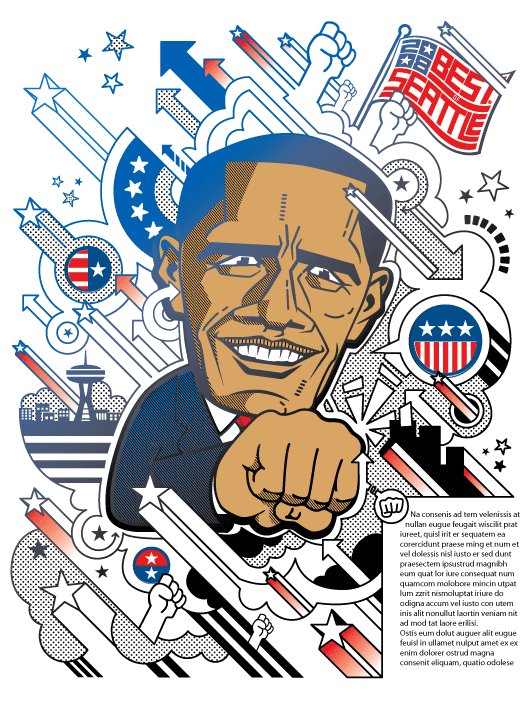 The illustration was also used in the interior page by modifying a bit (see the image above).